The warm atmosphere is inviting, with the aroma of the cuisine intoxicating and the decor enchanting. Whether the guests dine in the front to gaze out the large pristine windows or in the romantic red room that resembles a night in Paris you are sure to have the dinning experience of a lifetime. Chef Habib El Jacifi originates from the vibrant city of Casablanca in Morocco. Growing up in such a diverse culinary city Chef Jacifi was exposed to French, Spanish and Mediterranean cuisine. This inspired Chef Jacifi to take classic Italian recipes and transform them into new masterpieces with French and Mediterranean influences. The Chef was classically trained by the late Chef Pietro Bartolozzi of L’ Ottavo Ristorante in San Francisco. 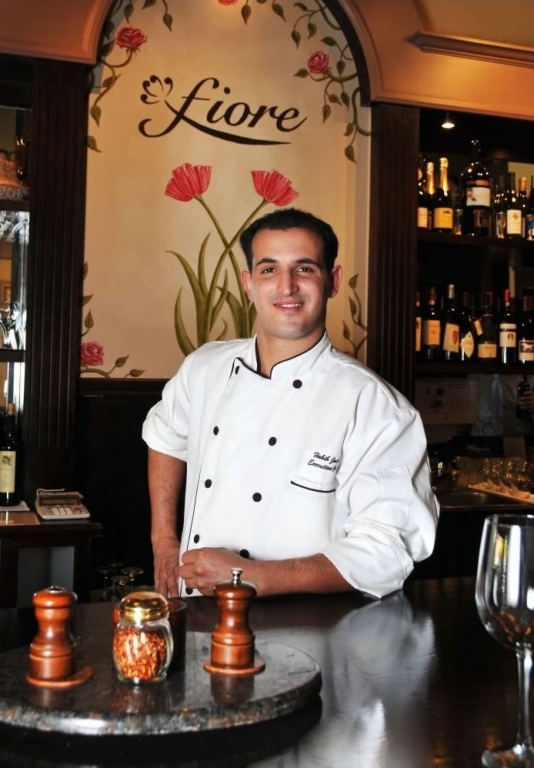 After helping to start several Bay Area restaurants like Luna Ristorante in 2000 and Nibblers Eatery and Wine Bar in 2005, the Chef was inspired to start one for himself. The Chef uses products from local and regional farmers and ranchers who use sustainable farm practices.